Florals. There, I said it. Did you smile or cringe? Florals over fifty are fraught. If you are a thin, petite woman, you might wear sprigs and petals and feel posy-perfect. The rest of us wonder: too girlish? too garish? If you have curves, extra padding, or stand tall, florals can make you look like a walking wallpaper sample book. But let's not forsake them; not all are unwearable. The right one lifts your neutral basics and makes you smile. The keys are sophistication and scale. The other rap against the floral is that, like any print, you are said to tire of it. Really? I've worn several floral scarves for decades and continue to enjoy them. Besides, are we not beyond the consumerist blather of 'tiring' of a beautiful piece? This Appleseeds Mini-Floral Shirt is a safe, sedate item that to my taste is rather like clothing as anesthetic. I might wear it to vanish into a crowd after a jewel heist. The kind of floral to avoid unless you are aiming for a prim look; we can do better. If you prefer small pattern, search for a beautifully-printed fabric, like this Liberty Poppy and Daisy Easy Fit Shirt, in a stylized design that has been offered since the early 1900s. £75, from Liberty. 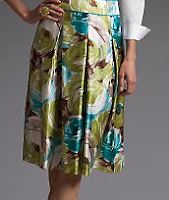 The Alberto Makali crinkle top, $159 from Neiman Marcus, shows how floral can punch up without overwhelming. The secret is in the palette of not-harsh but not-pastel watercolour hues. Kay Unger's blue and white floral nylon top has drape and a pretty neckline. Though a large scale, the non-repeating print is lively and fresh, and I like the sleeve length. $195 from Neiman Marcus. If WendyB has not already beat you to this Ossie Clark silk summer dress from Brown's, you could get it on sale for £300. It alone makes the case for subtle, sophisticated floral. Barney's pink and gold floral shirtwaist is on sale ($540, limited sizes); I wanted to show how colour lends sophistication to a floral. You need not spend a fortune on florals, though. 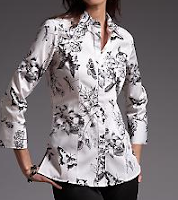 Talbots usually work the floral theme, in both Misses and Women's sizes, at mid-range prices. This botanical print floral, below, is now on sale on the web site for $60. Just one colour is used for this polished print (shown, black and white, but also in pink and white); the simplicity refines the floral. Quality really shows up in a floral: the print must be very well-executed, or it looks cheap. Tuleh provides a stunning example with a silk chiffon Flamenco blouse with ruched waist and cuff. On sale at Kirna Zabete for $990. OK, still expensive but let's admire it. Hermès' La Rosee is one of my favourite designs, because the scale is large enough to add presence. I have it in ecru and orange; it's available in deep cocoa and dark pink, with touches of white and ruby, on Luxury Scarves, for $338, a lesson in how floral need not scream summer. 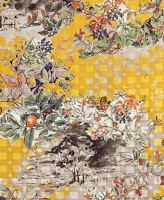 Etro's floral oblong, in silk and wool blend ($425, Saks Fifth Avenue) combines utility and beauty. It's ample enough (24" x 79") to keep you cozy, vibrant enough to lift neturals, and a relatively reasonable way to acquire Etro's renowned pattern and colour. Near left, a zoom view of the gorgeous pattern. Many stylists warn against floral skirts or pants. I have ignored this advice, and have a several pieces I wear frequently. 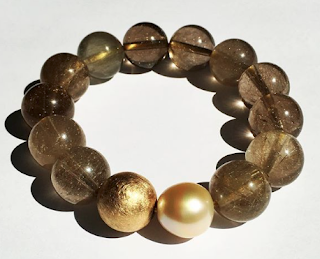 Life is too short to wear only neutrals below the waist! The right top balances the print. Above, Carolina Herrera floral print skirt from Saks is a bundle ($1, 500) but shows how florals benefit from quality silk printing, so fresh and pretty. J. 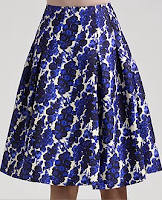 Crew's silk indigo floral pencil skirt ($128) is a palette of two blues, midnight and cobalt, and cocoa. I really like the styling, with a simple white blouse. A skirt for slimmer figures, because of cut and scale. Talbot's bamboo-print capris show how a floral (well, technically plant) print need not look cutesy. The vertical lines of the print work almost like stripes. The price is an unbeatable $50 on sale (small sizes only on web site). The same print is also available in a pencil skirt. Also from Talbot's, and on sale ($80) is this charming silk skirt in a 'blurry floral', which would be lovely for a garden party or summer dinner party. You could wear the classic soft pleated style for years of summers. A floral can cause dressing-room meltdown; sometimes, surrounded by a pile of prints, you simply can't see the floret for your knees. If you dress in neutrals, a flowered print can jar in a shop, but once home, it's calmed by your favourite solid-colour skirt, and may delight. I find (especially now), that boutique owners who previously sucked their teeth when you asked to take an item home "on approval", will agree to refund if you return within a day. 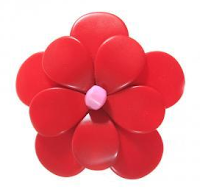 This Jamin Puech "Joula" flower brooch is so much fun! Flower-fy a plain dress without commitment to print. And it's on sale, £35, on their web site, in an array of col ours. A floral bag spritzes any outfit into summer. Dedicated bag-lovers will spend for a summer sac, but the rest of us hesitate to splurge on a three-month accessory. 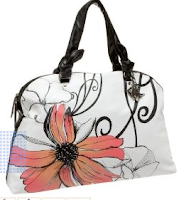 I did like the minimalist flower of this Roxy Layer Cake Large Satchel, $82 on Endless.com. 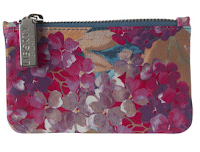 Liberty's delicious fushcia hydrangea small zip purse (in printed leather) is a quality piece, and on sale for £45.59. Love that Ossie dress, but other than Asian peony or kimono prints, or in small doses on scarves (I've been eyeing that Hermès too but will pass for now) I tend to find that florals aren't my thing. The small ones tend to strike me as too "Little House on the Prairie" and larger ones overwhelm me. But you've shown some excellent variations here! Great post today, Duchesse. Can't say I agree with all of it, but I do love my collection of Libery shirts. The hard part with them is to make them look hip or new with something edgey. I definitely did not like the two toile florals--talk about wallpaper! God protect me from itsy bitsy prints! There is something about the Tulehs shirt/blouse I like. 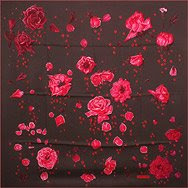 My floral prints would have to be somewhat asymmetric and large, maybe on a skirt with a mix of something modern. The colors are important too. What a joy-inducing post; thank you! What lovely florals. I increasingly think florals have to have real presence, and perhaps not be quite what is expected, to work on anyone over the elementary school set. 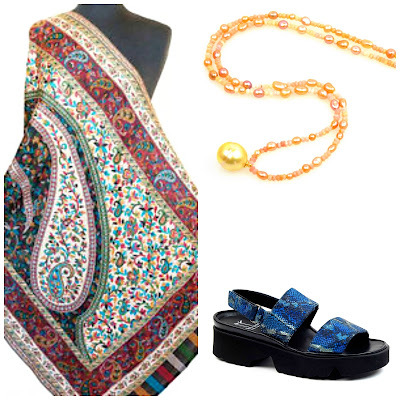 Great examples, and that Tuleh blouse has me drooling. How could one not feel absolutely luscious wearing that! Karen: For the life of me I can't see what you refer to as "the two toile prints"; one is the Talbot's shirt- what is the other, please? These are gorgeous, Duchesse! You hit the nail right on the head--starting us off with bland-ola from Appleseed's, and proceeding into sophistication. The Ossie Clark dress is just perfect. 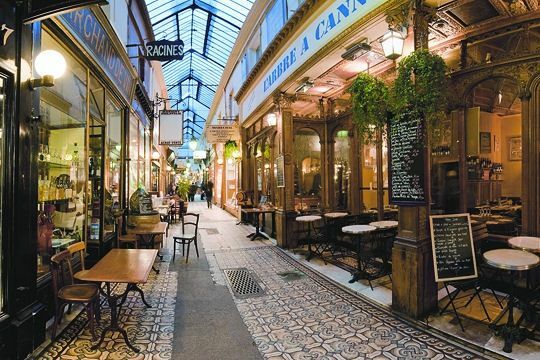 Wow, so pretty without being pretti-fied. This took a lot of work and I appreciate it. I'll use these examples to help me look selectively at what I have in my closet. I like the J.Crew and Talbots floral skirts, and I would pair them with simple tee shirt or blouse and a sweater with a vintage retro floral booch from Beladora.com. Like anything, there are nasty florals and nice ones. All prints date more quickly than solids, and I can often gauge the year of purchase by the style of floral. Just because florals are always in style, they're not always the same kind of floral and they may age you unnecessarily.